An HSA is a fund certain individuals may establish for their future medical expenses. In order to be eligible to create an HSA, an individual must be covered by a High Deductible Health Plan (HDHP). Since HDHPs often cost less than traditional health insurance, people can theoretically use the premium savings to fund their HSAs. Specifically, HDHPs as of this writing in 2016 can have a deductible of no less than $1,300 for an individual plan and $2,600 for an individual plus family plan. The maximum amount out-of-pocket limits are $6,550 (individual) and $13,100 (individual and family). The second major potential benefit of an HSA occurs if you are fortunate enough to be relatively healthy. 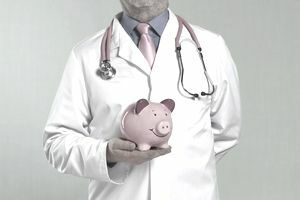 If you accumulate significant money in your HSA such that you do not think you will use it for medical expenses, you can withdraw your HSA money during retirement (after age 65) with no penalty. Upon such distribution, you’ll only need to pay ordinary income tax, as you would with a regular IRA distribution. Effectively, you would have benefited from a much larger than normal IRA contribution limit when you made your periodic HSA contributions.